Over the past few months we’ve had one doomcast after another. Pastor Lindsey Williams reported that the elites plan for a global currency reset in the first quarter of 2014. Jim Willie had a series of doomcasts for 2014 and spoke of two currency resets targeting the United States. Jim Garrow predicted a host of calamities, including civil war. The Chechens and the Saudis promised terrorism at the Winter Olympics. And, my 2014 – The Beginning of the End series hasn’t helped to lighten the mood. Well, since I am such a ray of sunshine, here are two more doomcasts to brighten your day. Grady Means, described as an ‘elite insider’, predicted financial catastrophe around March 4, 2014. And, a chart has popped up that seems to describe an eery parallel between today’s stock market and the stock market of 1928-29. I wouldn’t normally pay much attention to these two extra forecasts of doom (i.e., doomcasts), but there is some logic to them. Grady then goes on to talk about the fundamental reasons behind the economic crash, but he says nothing about why it will happen on – or around – March 4th. Very curious. Very curious, indeed. SHTFplan.com profiles the article and adds more fundamental analysis, and it was SHTFplan.com where I stumbled across this curious tidbit by Grady Means. We know that the global elites (aka, Illuminati) are planning a take down of the system. And, it appears that they’ve chosen 2014 as the year when their plans will gather speed. But, March 4th? Interesting. We’ll see what happens. Parallel between ’29 crash and today. Twenty years ago, when I first got into the investment business, I quickly realized that ‘mass psychology’ drove the markets. My ability to do future-value calculations, analyze price-to-earnings ratios, and determine fair market value… well, none of that made a bit of difference in the face of the masses of investors that I call the ‘thundering herd’. 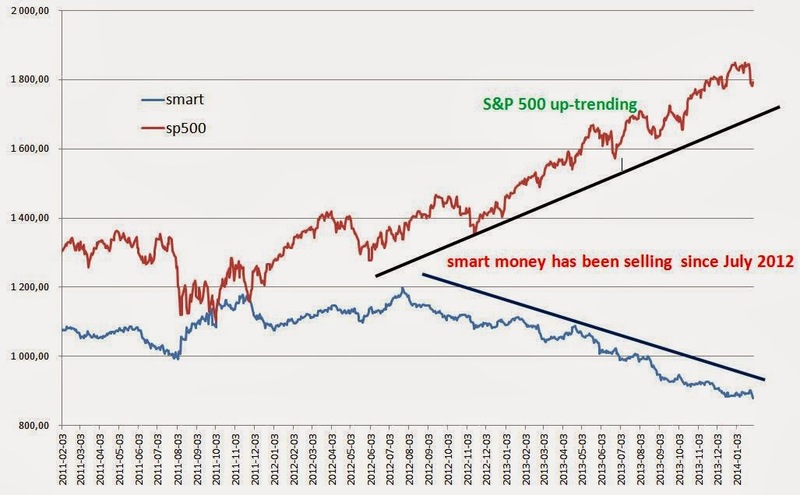 The ‘smart money’ has been getting out of the markets since July 2012, and the ‘dumb money’ has been flooding in. I mean, REALLY flooding in! What happens to ‘dumb money’ when it gets spooked by ‘bad news’? It rushes for the door in a stampede that crushes everything and everyone before it – i.e., the thundering herd. So, if you’re in stocks, get ready to be trampled. In fact if you are in ANY financial institution of ANY kind… get ready to be trampled. The global elites plan to take down the financial markets and the global economy. They might do it in late February or early March, or they might choose some other ‘auspicious’ time. But, they’re going to do it. And, you do NOT want to get trampled. You must be prepared for what’s coming. Just a note of coincident, that is about the same time behemoth sun spot 1944 (aka 1967) will be rotating back around to be facing the earth. The Ides of March (middle of March) might be a date picked by the Illuminati as a major turning point. It was sacred to Jupiter (Satan according to Tom Horne) and it was a transition from the Roman Republic to the Roman Empire because of the murder of Julius Caesar. See Wikipedia. Yes, beware the Ides of March. And, the Moon will be Full on the 16th.